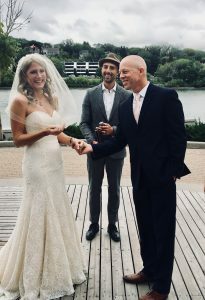 Well, part of the reason we got married so suddenly (in 2 weeks) was in order to honor, and share the occasion with, a man that both Chantelle and I look to as an inspiration and beacon of hope for life and relationships….her grandfather, Bob. Now, look closely, notice the rain drops in the photo? 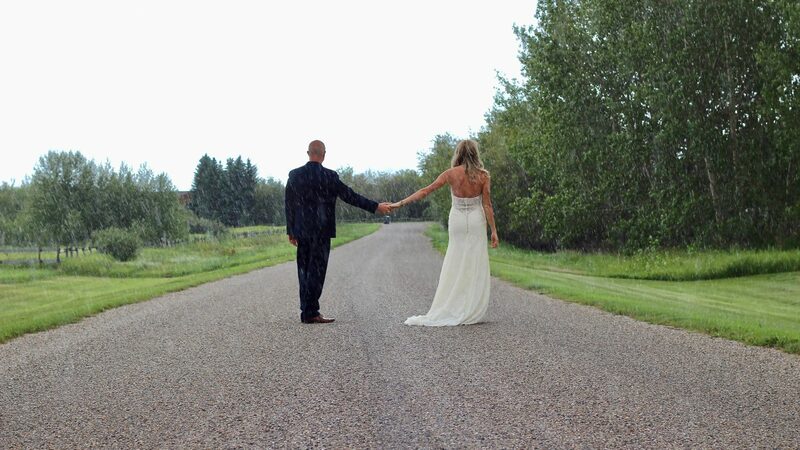 This first photo, with all it’s beauty (Chantelle), connectedness (handholding on a day we will never forget), it’s representation of us (traveling the road and looking forward, down that road, together) also has something that we all face in life at time; the rains! Sometimes the rains come on quick, and strong, as they did this day, other times they can creep in, linger for days, or maybe even years. Like it or not, we all will have times in our lives, that will test us personally, or relationally, and that will surely test our ability to see things clearly. 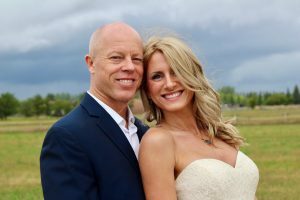 Chantelle and I both admire Bob so much because because of the way he has faced some big challenges in life. 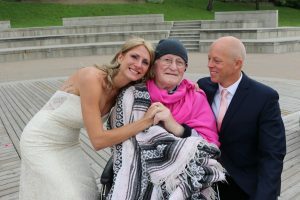 You see, his wife developed dementia 8 years ago, and he has made his life about her since, taking care of her, caring about her well being, every single day, and he does so with a big smile and open heart. Recently he also had a stroke, which for a time left his right side not working well. Yet, with both situations he refuses to look at the situation as a way out, or as a reason to be unhappy, and simply says, “this is a part of life”, and “it means that we have lived a long life”. Most of all, he acknowledges that these things are a part of the human experience. He chooses to look at the world through that lens, rather than turn away from it, find distractions to escape, or turn bitter. He CHOOSES, every day, to acknowledge where he is, to accept it, and to make the most of experiencing the full range of life, from it’s highs to it’s lows. He chooses daily, to honor his relationship, and the commitments he’s made, even when it is difficult. He refuses to “opt out” and hide from any of the experiences. It can’t be easy, and this is what we admire him so much for. And, that my friends, is choosing to be fully human, fully what we are. We live, we grow old and we ultimately die. There is no shame in that. inspires me to bring that into my life fully; into my relationship and marriage with Chantelle, and also my relation to the rest of the world. With that said, I’d like to say, “here’s to all you humans that choose life, all of it, the highs and the lows, every facet of this short, human experience , and especially to those who share that full experience with others. Thank you to you all for being an inspiration for living!